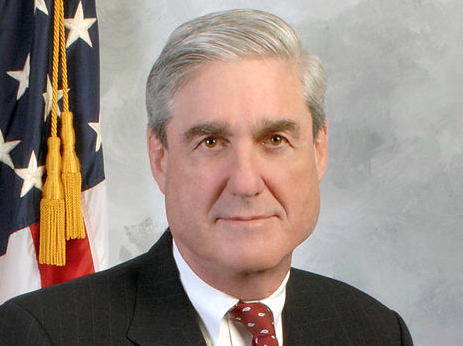 The world is abuzz with the news that Robert Mueller has impaneled a DC-based grand jury that he used to subpoena information on the June 9, 2016 meeting between Don Jr., Paul Manafort, Jared Kushner, and some Russians promising dirt on Hillary Clinton. In reality, the Special Counsel had already been using a grand jury to get information on Mike Flynn and Paul Manafort and we should always have expected a dedicated grand jury. Nevertheless, the move has convinced the chattering classes that this investigation is for real. Mob specialists: Andrew Weissman and Lisa Page are mob prosecutors. Corporate crime specialists: Weissman also led the Enron Task force. One of Dreeben’s key SCOTUS wins pertained to corporate crime. Jeannie Rhee has also worked on white collar defense. International experts: Zainab Ahmad, who worked terrorism cases in EDNY, which has some of the most expansive precedents for charging foreigners flown into JFK (including Russia’s darling Viktor Bout), knows how to bring foreigners to the US and successfully prosecute them in this country. Aaron Zelinsky has also worked in international law. Elizabeth Prelogar did a Fulbright in Russia and reportedly speaks it fluently. And, as noted, Andres has worked on foreign bribery. I lay this out there to suggest that in addition to hiring a bunch of super stars, Mueller also appears to have picked people for their expertise. Those picks reflect an already well-developed theory of the case, one formed long before he impaneled his own grand jury. And many of them boast expertise fairly distant from the question of foreign adversary’s hacking a political party’s server. And I’d suggest there’s good reason for that. Some of Mueller’s theory of the case undoubtedly comes from whatever evidence Jim Comey’s FBI and Van Grack’s grand jury had already collected, which at least publicly pertains to Mike Flynn’s disclosure problems, his comments to the Russians, and Paul Manafort’s money laundering. Some of it comes from stuff that was being investigated in NY. But remember: Trump’s sordid ties to Russian mobsters (see categories 1, 2, 3, and 5) go back a long way. One of the best ways to understand what and how close some of those ties are is to look at the case of Felix Sater. Josh Marshall’s description here gets at a lot of the important bits. Sater is a Russian emigrant who was jailed for assault in the mid-90s and then pulled together a major securities fraud scheme in which investors lost some $40 million. He clearly did something for the US government which the feds found highly valuable. It seems likely, though not certain, that it involved working with the CIA on something tied to the post-Soviet criminal underworld. Now Bayrock and Trump come into the mix. According to Sater’s Linkedin profile, Sater joined up with Bayrock in 1999 – in other words, shortly after he became involved with the FBI and CIA. (The Times article says he started up with Bayrock in 2003.) In a deposition, Trump said he first came into contact with Sater and Bayrock in the early 2000s. The Trump SoHo project was announced in 2006 and broke ground in November of that year. In other words, Sater’s involvement with Bayrock started soon after he started working with the FBI and (allegedly) the CIA. Almost the entire period of his work with Trump took place during this period when he was working for the federal government as at least an informant and had his eventual sentencing hanging over his head. What about Salvatore Lauria, Sater’s accomplice in the securities swindle? All sounds totally legit, doesn’t it? But there’s more!, as they say. Sater’s stint as a “Senior Advisor” to Donald Trump at the Trump Organization began in January of January 2010 and lasted roughly a year. What significance that has in all of this I’m not sure. But here’s the final morsel of information that’s worth knowing for this installment of the story. How exactly did all of Sater’s secret work and the federal government’s efforts to keep his crimes secret come to light? During the time Sater was working for Bayrock and Trump he organized what was supposed to be Trump Tower Ft Lauderdale. The project was announced in 2004. People paid in lots of money but the whole thing went bust and Trump finally pulled out of the deal in 2009. Lots of people who’d bought units in the building lost everything. And they sued. In other words, an FBI (and, possibly, CIA) informant had links with two of Trump’s business with ties to the Russian mob for — effectively — the entire extended Mueller tenure at FBI. This is a point one of the few other people with reservations about Mueller as Special Counsel made to me not long ago. The FBI — Mueller’s FBI — has known about the ties between Trump’s businesses and the Russian mob for well over a decade. The FBI — Mueller’s FBI — never referred those ties, that money laundering, for prosecution in that entire time, perhaps because of the difficulties of going after foreign corruption interlaced with US businesses. Now, in a remarkably short timeframe, former mob prosecutor Robert Mueller has put together a dream team of prosecutors who have precisely the kind of expertise you might use to go after such ties. Because now it matters. It matters that the President has all these obligations to the Russian mob going back over a decade, because he can’t seem to separate his own entanglements from the good of the country. Folks have made much of this exchange in the NYT’s long interview with Trump. Technically, Trump was only asked about whether he’d consider Mueller’s review of finances unrelated to Russia to be outside his lane. But Trump largely answered it about Russia, about business deals — the condos, the pageant — with Russia going back to the time Mueller’s FBI would have been working with Felix Sater to learn about the Russian mob. Yeah. It’s no surprise Mueller has impaneled a grand jury. There are several players that could blow up the house of cards. However, this post gives a good description of the conundrum facing Mueller, in that he knew of this years ago and did not act. How this ties into the Prevezon settlement and Bharara’s firing that appear to be attempts to insulate Caesar Disgustus from what looks very much like money laundering to a legal layperson (the courts get to sort that out) remains to be seen and I suspect will be answered, since Felix was involved in that too. It seems that C.D. thinks that the Trump Organization under Uday and Qusay’s control is somehow completely independent from his person, however…, that is undermined by the ability of C.D. to write TrumpOrg checks to himself any time he wants. It’s probably the only way the last paragraph of the snippet makes sense, because of what Junior said a couple of years ago in an interview. Let’s also understand that everyone else except Deutsche Bank (under fire for money laundering), Alfa Bank (ditto, and what about that special server, really? ), some other Russians to be named later, and our home grown mob (there’s a reason C.D. used concrete instead of steel as much as he could, and the cement business is almost a wholly owned mob subsidiary in NYC) refused to lend C.D. money because of his business practices. Those linkages come with markers to be called in. Also, Putin’s government needling of C.D.’s weakness regarding the sanctions bill (I’ll be impressed if there is a real action, the press will need to follow up on this) is an indication that C.D. has outlived his usefulness as a Russian asset. How will they move him aside? The last useful question is how deep Pence is in on this (and Ryan and McConnell, since they prevented Obama from acting on the information before the election and/or used the Russian money in the GOP SuperPACS) since he has had a significant influence in the campaign and in staffing the WH. He has also been caught fibbing (bearing false witness) about several topics like Flynn’s conflicts, healthcare and other issues in addition to being personally responsible for Betsy DeVos being Secretary of Education. Will Mueller look at him and Ryan and McConnell as well if pulling the string takes him there? Rugger, EW, the Sater Trump NY/Russian/Israeli/WS mafia, FBI, CIA story has more reported details including Sater’s FBI handlers retiring to work on Trump’s private security team, Sater’s 40 million dollar fraud assisted by Trump court case sealed, the FBI and other TLAs did not want their “use” of Sater in Russia to find/buy SAM Stingers from “terrorists” and ?? to be exposed. The DOJ under at least three administrations has failed to prosecute these guys. That shows the TLAs including DOJ to be unindicted co conspirators. People investigating this reported threats, physical assaults, full scale media doxing, operatives looking for medical records, fake leads and worse. In summary Patrick Byrne reported when they took this to Utah Senator Hatch he came back and told them in so many words to stay away, walk away. Sater and Trump not only have “get out of jail” cards, they have “will never be investigated” cards. Seems that Saters former prosecutor(s) and FBI handler ended up in Trumps orbit after seeking a slap on the wrist during sentencing. none of this is surprising except that there does not yet seem to be a direct connection with voting manipulation. i suppose that will come from the underlings once they are squeezed about mafia activities like money laundering thru real estate sales. i’m still going to be on the lookout for a direct, co-operative connection with 2016 election to unfold toward the end of the inquisition (if one exists). and for a foreign policy deliverable in the form of a promise to arrange sanctions relief. No one has a monopoly on vote manipulation. Note Aaron Nevins, the Florida Republican operative who handled Gucifer 2.0 DNC data. Trying to track down the source of “it happens more often than you would think”. That said, it would be easier for an out of country foreign actor to either hack or blackmail hackers for vote fraud, cause a) foreign ownership, service, and manufacture of vote machines and memory cards, and b) private US hackers get caught faster. Hacking voter rolls would be easier – no one at state/local levels seems to think they’re critical. But get a bunch of registrations changed a little, so voters get stuck with provisional ballots – or get “unregistered” somehow – and you can flip an election without much notice. FWIW, I can’t get a straight answer as to whether the DC GJ is actually dedicated. The reports are conflicting, and seem to be leaning more to it not being. Pretty easy to just hit up a sitting GJ if all you are doing is issuing subpoenas etc. Wonder if might not want a dedicated one for when really getting the testimony on record and presenting though. It doesn’t really matter I guess, but weird that the reports are so conflicted. Maybe a bit of security thru obscurity? I.E., that the players on sitting GJ are actually known to some? And therefore subject to ‘influence’? Alternatively, there may be leak sources there. FWIW, more than once I was involved with cases where we resorted to this or that GJ, already impaneled, being used for one or more other inquiries. I’ve never seen stats on this, but I suspect the most common reason for such a resort is to obtain an enforceable subpoena to demand documents in working towards an interview or testimony; IAE that was the reason in all but one of instances in which I was involved. It’s possible we may never actually ‘know’ know whether or not this WDC GJ was specially impaneled for Mueller’s investigation. The one exception to which I refer above involved our case essentially ‘taking over’ a GJ what was already impaneled for at least one other & prior investigation on unrelated subject matter. Right. And like I said somewhere on this here blog, not sure if this post or another, it really doesn’t matter. But the question fascinates me as to timing of where Mueller is. If Mueller just obtaining subpoenas to issue around, any old GJ will work. If he is really getting close to significant testimony, then I think he would be far more inclined to get a dedicated. i’m not thinking about hacking. plenty of republican county/state officials can handle that – all the way from denial of opportunity to vote to vote machine total manipulatn. i’m thinking about voter information manipulation targeted to selected. groups. i read somewhere meuller has used two gj’s in two (dc area?) jurisdictions – one already empaneled and another maybe new, maybe not. Yes, the original one was in EDVA. The better question is as to the one just reported in DC. Does anyone here know: when did Trump become aware of Sater’s situation with the FBI? Did Trump do those deals knowing? Not knowing? What might his reaction have been when he found out? How did Sater’s situation with the FBI or whoever became public in the first place? And what is Sater doing these days? Thanks! Likely pre 9-11. As in 1996. Greengiant, I think you’re being naive that DOJ won’t investigate because it’s supposedly involved because it didn’t prosecute earlier. All DOJ has to point out is that there wasn’t enough jury-persuasive evidence in the prior investigations but that enough has accumulated thanks to the renewed investigation to increase the chance of convictions. Regarding your opinion, I think it especially smacks of wishful thinking. Would be interesting to FOIA DOJ to see what they did have but couldn’t use successfully in the past. If they had something and they were trying to use it ~now~, DOJ response would indicate active investigation prevents release under FOIA. Indefinite inquiry is great to stop FOIA requests and preventing the public from making informed decisions. Wishful thinking? I wish Trump was in prison 25 years ago. The DOJ was ineffective under Obama and Holder so it is going after GOP connected oligarchs under Sessions? Good luck with that thought. The modus operandi is for the IC to protect their “assets” from the DOJ cause national security. At this point in time, I would think IC has *plenty* of assets inside of DOJ. Whether they are up to good or no good is the question. The three branches design has not been working effectively with internet, cell, satellite. Four of seven may be bettter freedom. that’s an important point. thanks. and of course when any official at a polling place challenges or disqualifies a voter or two or three, there really is no immediate appeal for protection for that voter that will guarantee that her vote will be fairly included and counted. only promises provided by a “provisional status” label that may or may not result in the vote eventually being fairly counted. Tom is a great guy, and a friend for years. But I will trust my sources, none of which know whether Mueller impanelled or used existing. He is using but one conflicted media story. thanks, bmaz for the good detective work. mueller is doing a fine job of hiding his cards – and for good reason. the people he is investigating are looking to crucify him and his team on any excuse.